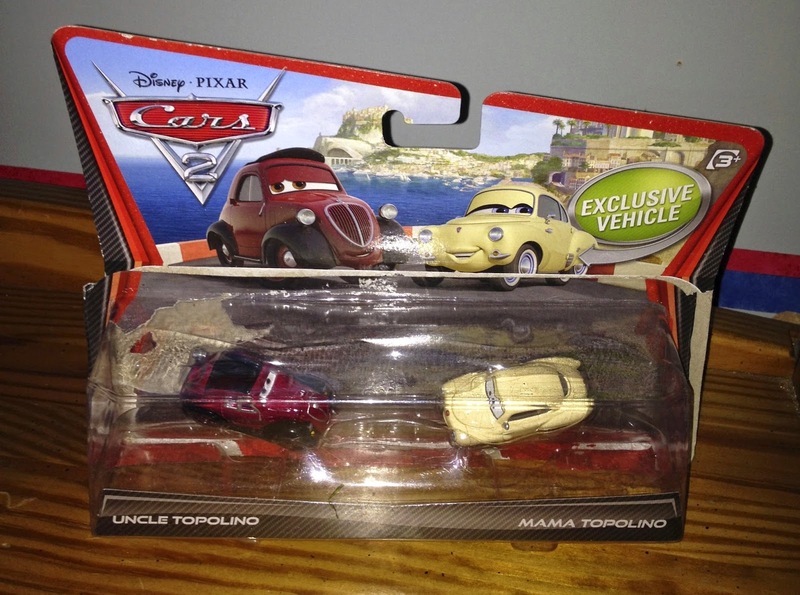 Here we have yet another Cars 2 "movie moments" 2-pack...this time featuring Uncle and Mama Topolino! This pack was available in 2011 as part of the original Cars 2 line and, as usual, are 1:55 scale diecasts from Mattel. These characters are Luigi's uncle and aunt who live near Porto Corsa, Italy. They own the local tire shop and taught Luigi and Guido everything they know about tires. In the film, Lightning Mcqueen and his pit crew join their "Festival Italiano" and spend the night at their place before the second race of the WGP. Both Uncle and Mama Topolino have since been released on individual cards, if you'd like to buy them separately.